These shifts in brand behavior will have a lasting impact on design. Whether or not you choose to follow the latest design trends, some movements are just too big to ignore – and affect the industry at large. It's not necessarily about following the herd and developing a similar style – often the visual aesthetic is secondary to the social context that's driving it. As a result, the most significant trends aren't just flash-in-the-pan occurrences that pass in a few months – they evolve, grow and expand as different designers interpret that underlying movement in their own way. In some cases, the bandwagon gets overladen with people who misinterpret and distort the original roots: we can all name our fair share of design trends we're tired of hearing about, after all. Major social, political or environmental events may encourage designers, and the brands they work for, to think differently. In some cases, a forward-thinking brand sets an example through its behavior, and blazes a trail for others to follow. Amongst the 2018 design trends we identified at the start of the year are new approaches to color, art direction, typography and even how ideas are expressed – but 2018 has also seen bigger-picture developments in methodology and ideology that could have lasting repercussions far beyond aesthetics. Carlsberg worked with its production partners to develop Snap Pack, a way to join multipack cans with minimal plastic. Unless you're the current US President perhaps, sustainability is climbing up the international agenda fast. Brands are starting to put their money where their mouth is, too. If a product uses recycled materials, responsibly sourced ingredients, is ethically produced and strives to be carbon-neutral, it's not just an altruistic venture for the company in question – it's a major selling point for environmentally conscious consumers too. Reduction in plastic is a particular concern for many brands. In April 2018, no less than 10 D&AD Pencils were awarded to AMVBBDO's Trash Isles campaign for LADBible and Plastic Oceans, encouraging the UN to recognize the huge floating island of plastic in the Pacific as a country, so the world has a shared responsibility to intervene. Two household-name Danish brands have also been blazing a trail in this space in recent months. LEGO has announced its first sustainable bricks, made from plant-based plastic, while Carlsberg unveiled various market-leading innovations alongside its global rebrand by Taxi Studio. Most notably, Snap Pack is a new method of gluing multipack cans together, reducing the plastic required by up to 76%. Sustainability was also a key part of Taxi's brief, and the Bristol-based agency crafted a timeless, distinctively Danish branding system that's designed for longevity, rather than fading into obsolescence in a few years. We predict many more brands will put sustainability front and centre in 2019. A distinctive personality is crucial for brands to cut through the noise in a crowded market – and tone of voice can play a big part. For a decade, Innocent was celebrated as the leading example of this. Countless imitators followed, desperate to achieve the same quirky, playful, chatty tone that raised a smile when you drank a smoothie. More recently, a generic 'artisanal' tone has gained traction, packed with earnest adjectives like 'hand-crafted' and 'authentic'. Following trends won't get you anywhere when it comes to market stand-out, and brands are finding new ways to express their personality visually as well as verbally. A distinctive style of illustration can give a brand personality just as effectively as its tone of voice, and brands launched this year such as Anna by NB Studio are combining the two to great effect. Another stand-out example is Superunion's recent brand refresh for BBC Two(see video above), which rethinks the role of channel idents to express a progressive, risk-taking personality. Putting stimulating, original programming at the core of BBC Two's identity, the agency turned the entire junction between programs into an extended ident, using a range of stunning animations to express the mood a piece of content evokes, rather than just its genre. 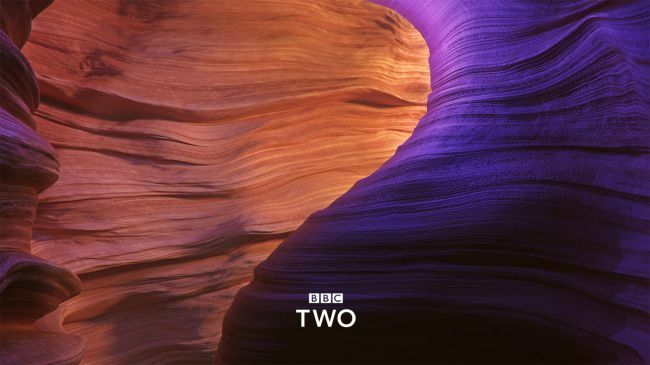 Instead of overtly branding the idents, the content does the talking, with only a subtle curve motif – hinting at the outline of a '2' – to indicate the channel name. It's a bold way to express a brand's personality that bucks sector trends, and we predict even more forward-thinking brands will do so in 2019. Ever since 2016 – one of the most globally divisive years in Western politics for quite some time, with the shock election of Donald Trump following hot on the heels of the UK's dramatic Brexit referendum – it's become increasingly common for brands take a side. The result is a fast-growing trend for divisive campaigns that attract love and hate in equal measure. In 2018, a prominent example was Nike's defiant stance in support of Colin Kaepernick – the outcast American football player fronted the campaign to celebrate the 30th anniversary of its world-famous tagline. While many applauded its bravery and integrity, others destroyed their Nike goods and threatened to boycott the brand in future. With the world more divided than ever on deep-rooted, ideological issues, we predict more brands will take a stand in 2019. As consumer demand shifts and brands such as Amazon, Uber, Netflix and Airbnb cause widespread disruption in their respective sectors, forward-thinking companies are increasingly putting digital products and services at the core of their business model, rather than just seeing digital as a glorified marketing channel. Logo design is becoming a less important way for brands to express themselves distinctively, compared to the value of a coherent, intuitive multi-platform user experience that communicates brand values through every touchpoint. Studio Output's multi-channel rebrand of BBC Sport, which picked up a coveted Brand Impact Award in September 2018, is a case in point. Pre-rebrand, BBC Sport's identity system was tailored for broadcast – and as it expanded across every other digital platform, it lost any sense of coherent user experience. The solution was to communicate brand values through color, type, and motion principles, translating it seamlessly across all devices and platforms – the logo became secondary. As digital products and services become ever more integral to brands' DNA across all sectors, we will only see this trend increasing in 2019.